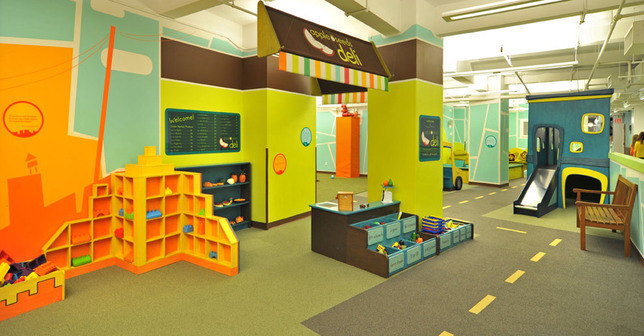 apple seeds, the award-winning, all-in-one children’s play space, whose flagship is based in New York City’s Chelsea/Flatiron district, is branching out and opening its second NYC location at 200 West End Avenue on July 1. – Indoor Playground. The nearly 2,000 square foot indoor playground contains nine children’s museum-like exhibits as well as a gym-and-play space. – The Perfect Class. Five classrooms offer classes in music, art, movement, soccer, cooking, science, construction, ballet and more. Classes begin July 1st and registration is open now. – Birthday Celebrations. Families can choose from 11 party themes ranging from music to sports, to animals, to cooking, princesses and pirates, construction, dinosaurs and more. You can check out more information at www.appleseedsplay.com.